It’s a fact that employing strong tenant screening practices help identify tenants who will end up being a good fit for your rental property, and ‘weeds out’ many of the applicants who would cause you problems. A tenant criminal history check is a key piece of any solid tenant screening process. 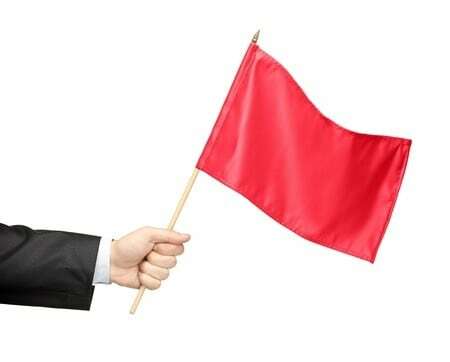 Decide which crimes are ‘red flag’ crimes. These are convictions that stop the screening process, and generate a NO from the landlord. Give some thought to the types of crimes that deem the applicant as a poor or unsafe choice. Set these in advance, and be consistent. ‘Red flag’ convictions are serious convictions that you feel would put your other renters in a potentially dangerous living situation. Decide which crimes are ‘yellow flag’ crimes. Less serious convictions that would not directly endanger your other tenants or your property would fall into the category.Giving consideration to the type and severity of the crime will assist you in maintaining a screening process that is fair and not discriminatory in nature. Determine if you will consider arrest records. An arrest does not automatically mean guilt, so they are generally not looked upon as solid pieces of information to use in screening. On the other hand, a person who has a serious charge pending may pose considerable risk to the safety of your other tenants. Think about and note the types of arrests that would deter you from renting to an applicant. Set how far back you will search. During a background check, you may uncover crimes the person perpetrated many years ago. Are those really relevant today? You will need to set perimeters as to what crimes are serious enough to adversely effect someone’s ability to be a good tenant after 7 years and which are not. Obviously, an applicant having a recent conviction (in the last 2-3 years) is a serious issue. When deciding on this, it is helpful to look at a person’s behavior since the time of the conviction. Make allowances for identity issues. When pulling a tenant criminal history search, remember it’s a little known fact is criminal records are searched by name, not by social security number. Therefore, there could be many convictions tied to a common name that in no way relate to your applicant! Ask your tenant screening company to provide you other information -such as a date of birth, middle initial, picture, or former address-to ensure thevcriminal history they uncover is actually your applicant’s. Commit to following the guidelines of the FCRA. A tenant criminal history check conducted by a third party comany (your tenant screening company) is considered an investigative report by the FCRA. The FCRA requires that landlords follow certain procedures in ordering and utilizing an investigative report. These regulations include getting the applicant’s consent to agree to a search, as well as following adverse action procedures. Basically, if a landlord decides to not rent to a person based on information they find in the investigative report, the landlord must notify the applicant by mail (with a document called an adverse action letter). The applicant then has a chance to dispute the information with the tenant screening company. Following the FCRA is an extremely important part of any screening process. Landlords should make a commitment to comply with the FCRA regulations to the letter. A landlord has a responsibility to carefully select tenants who are not a danger to the other tenants,.A tenant criminal history searches can assist in that endeavor. Consideration should be taken, however, to utilize the applicant’s criminal history in a manner which is relevant, fair, and non-discriminatory.